Update 2: According to TechCrunch, and Co-Founder/CEO of natural language processing startup Robin Labs, the app is a real, functional product built on the startup's "white-label" voice assistant platform. While it was not commissioned by Yahoo!, it was created during ongoing discussions with the company. Read the full story here. Update: According to TechCrunch, who has a source "familiar with Yahoo's internal projects," the video doesn't depict a real Yahoo! product, in progress or otherwise. At this point we can't verify absolutely whether the product is real, fake, imagined, or in progress, but even the Android Police can be tricked now and then. We'll keep you updated if we learn more. Earlier this month, it was announced that Yahoo! had acquired SkyPhrase, a natural language processing startup. At the time, it was posited that the SkyPhrase acquisition would help Yahoo improve its existing products, understand user intentions and connect people with what they need by drawing on Yahoo's portfolio of existing web products. We now have evidence that Yahoo! is putting their language processing powers to the test with a voice-controlled assistant app which includes predictive information, like Google Now with some of the conversational prowess of Siri. Check out the video and stills below for some of the details. 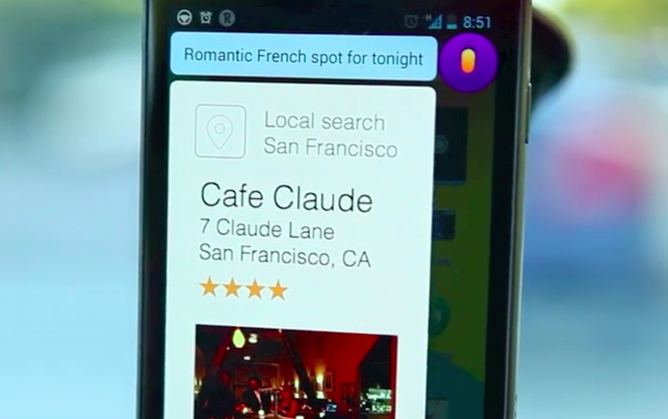 So far, we can tell that Yahoo's assistant will be able to inform you of travel time and traffic delays, send (and edit) messages intuitively, and find you the perfect date spot on short notice. 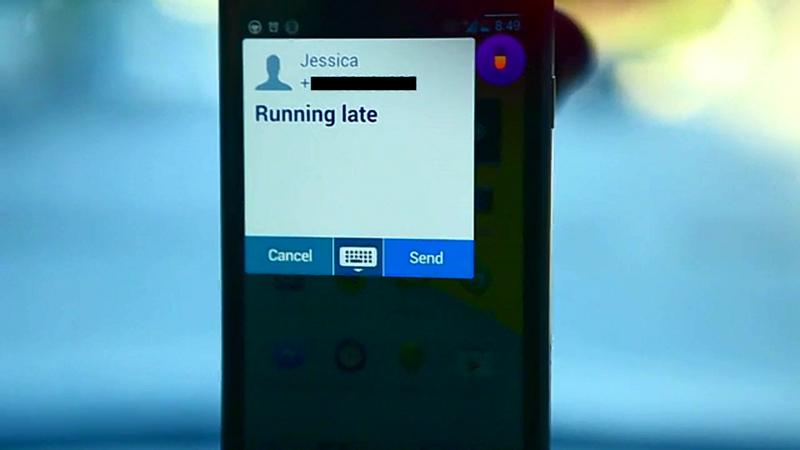 Worth noting is that the app appears to be implemented in a similar fashion to Facebook's Chat Heads - the Y! icon appears over the home screen, and the informational bubbles appear on a translucent overlay on top of the underlying interface. This is a simple enough answer to the access-from-anywhere gesture Google has built into its own Search app. 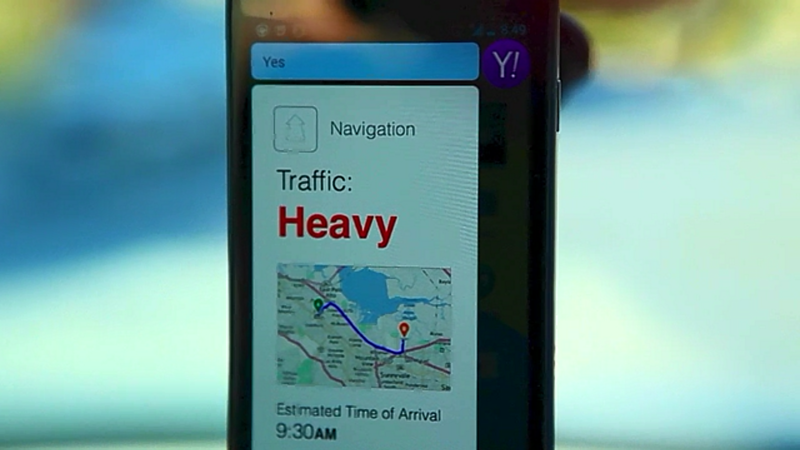 While we don't have any further information about the app just yet, it's clear that Yahoo! is working on what could be a formidable competitor to Google's Search app. We'll keep you posted as we find out more.